Ovarian cysts affect the majority of women in their reproductive years at some point. While most ovarian cysts don’t require surgery, about 8% of women (prior to menopause) have cysts that need to be treated medically. If your doctor has recommended surgery to remove ovarian cysts (cystectomy), this article offers recommendations for how to best prepare and recover. Most ovarian cysts are benign, temporary inconveniences. Small, functional ovarian cysts often go away on their own or through the consistent use of natural therapies. For other cysts, especially large or painful cysts, it may be best to remove them surgically. Be sure to ask questions and do research before deciding whether surgery is the right choice for you. Large functional cysts or large chocolate cysts (endometriomas): As cysts grow in size, they can threaten the health of the ovary. Very large masses can rupture causing damage, scar tissue and adhesions. Left untreated, some cysts grow so large they completely replace normal ovarian tissue. Cysts affecting ovarian structure: Some cysts cause the ovary to become twisted (ovarian torsion). Ovarian torsion can cut off blood supply, and cause tissue to die. This can be a medical emergency! Symptoms to watch for include: sudden vomiting, fever or pain. If damage to the affected ovary is severe, it may need to be removed. Large, dermoid cysts: Most dermoid cysts grow slowly, but if they grow large, cause pain or menstrual irregularities, removing them could be the best choice, especially if you’re also working on your fertility. Suspected cancer: Surgery can help avoid cyst rupture or cancerous cells spreading to other parts of the body. Post menopause, a large cyst may be removed to reduce any risk for cancer as the reproductive years have come to a close. If you’re preparing for laparoscopic cystectomy, recovery without complications generally takes about a week. It’s important to ask your physician about any activity restrictions or possible symptoms you can expect after your procedure. 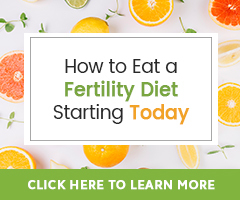 The healing process is accelerated in a nutrient-rich body environment created by following The Fertility Diet. Doing some meal preparation before your procedure is helpful. Protein forms the building blocks for cell structure, growth and repair. Include high-quality protein each day, protein from organic eggs, poultry, or vegetarian sources like lentils, and plant or whey protein powders. Fresh fruits and vegetables improve healing time by reducing free radical activity and inflammation. Vitamin C rich foods like kiwi fruit, acerola cherries, guava, peppers, broccoli and citrus fruits especially encourage collagen production for faster skin and tissue repair. While you want to avoid stronger techniques like Castor Oil Packs or Self-Fertility Massage for at least a few weeks after surgery, you can ease minor discomfort by doing plain hot or cold packs. Hot packs relax the muscles and ease cramps, while a cold pack helps numb pain. Once healing is underway (usually after 1-2 weeks), systemic enzymes are an ideal choice. Systemic enzymes encourage tissue repair, decrease inflammation and support normal immune response. Use Systemic Enzymes 45 minutes before meals for the best results. 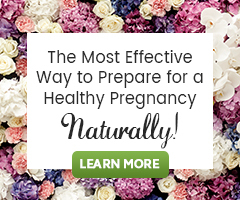 Learn more: How To Use Systemic Enzyme Therapy To Increase Your Fertility. Herbs like Pau d’arco (Tabebuia avellanedae), Maitake mushroom (Grifola frondosa), Turmeric (Curcuma longa) and Ginger (Zingiber officinale) are good additions to your natural medicine chest if you’re prone to cysts or other growths. Use them in teas, herbal soups, liquid herbal extracts or capsule blends. Physical healing is maximized with sleep. After surgery, your body needs more sleep and downtime in order to heal. Research shows sleep deprivation causes wounds to heal more slowly. In contrast, getting plenty of sleep increases wound healing, improves immune response, and decreases chance of infection. If your doctor recommends surgery to remove ovarian cysts, ask questions and do research on all of your options. Modern medicine has made great strides in surgical approaches, using sensitive equipment and minimizing complications for many women. While many ovarian cysts resolve naturally, some may need to be removed surgically for a return to better reproductive health and reduced symptoms like pain or irregular cycles. If you need surgery, the recommendations in this article can help guide you in the most practical and effective natural recovery options.